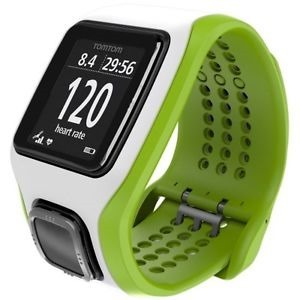 This entry was posted in Cycling, Fitness, Running, Swimming, Triathlon and tagged Changes in Run Watch Technology, Garmin Forerunner 10, Garmin Forerunner 15, Garmin Forerunner 920XT, Nike+ Sportwatch GPS, Polar RS220SD w Foot Pod, Run Watch Technology Comparison 2007 thru 2015, TomTom Multisport Cardio w Wireless Heart Rate by tootallfritz. Bookmark the permalink. 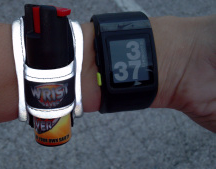 Wow…you really went “long” on this review of run watches – impressed! I go back to even earlier version of Garmin…think it was called a 101…a big, not comfortable beast that was oblong shaped and I nicknamed it the “Kidney Bean.” It died and forced me to upgrade to 205….then when that one died…went to the 305 that served me well many, many years, but when that one finally died for good…went to Garmin 310XT….which is still working for me. And I don’t upgrade as long as the current watch works! 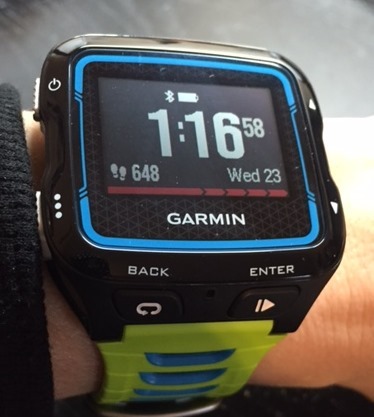 The Garmin 310XT is a triatholon watch and it has charge capacity up to 15-hrs or more before requiring recharge. I don’t do triatholons, but it was waterproof. I only got it cause I wanted the extended charge life just to make sure in marathons, but back then when I got the 310XT…plan was to tackle some more ultra-distance races. It’s worked well for several years now…so probably another year or so before I be having to replace it to a newer generation watch. Like you….don’t need all the bells and whistles…just basics. In fact….I rarely upload data and just manually review run totals and splits (if applicable) and enter it manually in my spreadsheet training log. 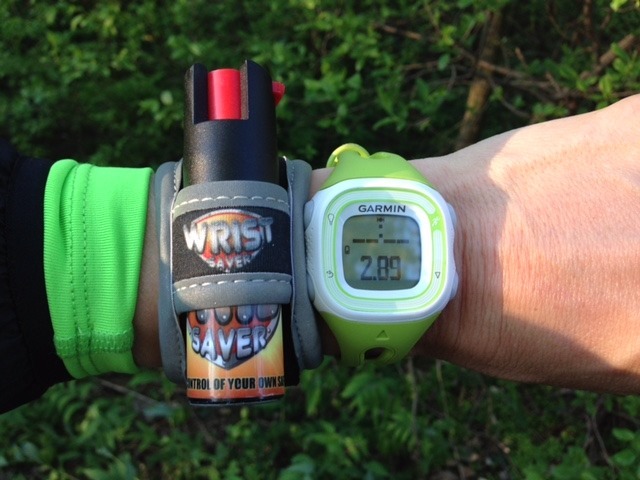 Although I may be more of a “data-miner” than you….I still share your characteristic to prefer simple approaches to use of a run watch. But my coaching training and my run/self-coaching training experience leads me to offer you what I think the “basic” functions you need a watch to do. So here goes…. First…you want a GPS watch that has enough internal power dedicated to lock-on those satellites as quickly as possible. Should take less than 5-min to get logged on…often less…unless you move and run somewhere far outside your current region…takes longer for watch to figure that out. 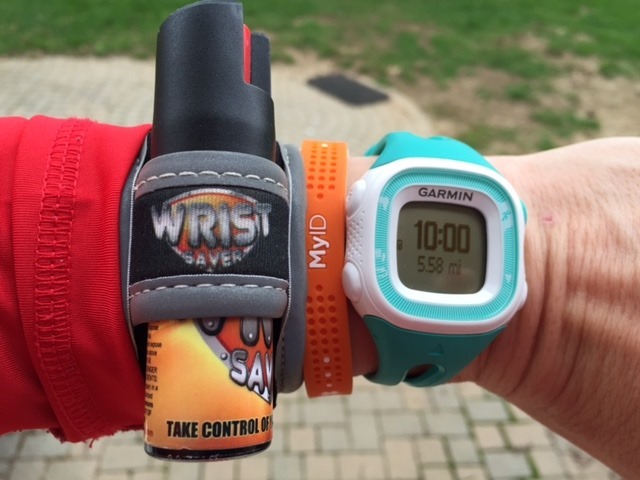 You want a run watch that is water-proof to handle the rain or sweat pouring off you in hot weather….and that is why I prefer the triatholon-designed models….cause they are meant to work in the water while swimming! You should always have a HR function….HR training is the “heart of it all” when it comes to tuning into run intensity…and if you learn how to interpret HR…becomes invaluable for adjusting your training objectives. 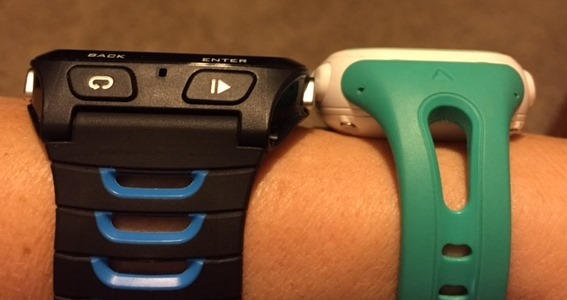 The wireless versions today that work off of impulses detected in the wrist region are good in the sense of no chest strap, but I never have a problem resorting to the older technology and strapping on the HR chest-strap. I don’t wear that strap all that often….only on high-intensity workouts….and 2nd half phase of marathon training on long runs to start seeing where I fall in therms of “threshold” speed. 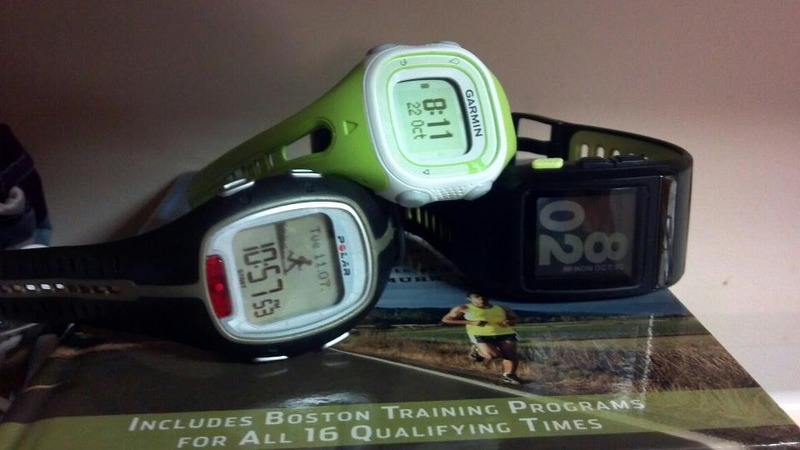 Back in 2010-2011…leading up to that 2011 Boston Marathon where I ran my marathon PR that still holds to this date (3:24:56, age 57)…HR monitoring and that data made a big difference in achieving that ability to run that kind of performance. In 2010 I developed a “poor-mans” way to use HR monitor while running progressively faster intervals on a treadmill..starting from fast walking thru slow running, to easy running, to mod-aerobic running, to high-intensity running all the way to total exhaustion. Plot treadmill speed (converted to pace) for each of those intervals relative to HRmax at end of that interval…look at the graph and find the “point-of-deflexion” where HR shifts from “straight-line” to “curvilinear” and that represents lactate threshold (LT)….the point at which lactate in blood is accumulating faster than it can be processed. Generally marathon pace will be somewhere 1-2% slower than threshold speed. The beauty in doing that “threshold” interval HR test and spending the time graphing the data for the lap splits…is I was able to document a “shift” in LT in the sense my training was all set on running the 8-flat pace or 3:30 marathon finish, but that last of 3 LT tests I conducted during that 18-wks of training cycle…the LT breakpoint…adjusted 2% slower…ended up being 7:48/mi. In other words….the test indicated LT had shifted the curve to the right…indicating that I was in far better condition and could run marathon at faster pace. I didn’t start out that marathon running faster….just as usual first mile by feel and then segue into that 8-min race pace. But at times…based on feel…ran some “surges” here and there…especially when there were downhills to gain time on. And after running through Newton Hills and still feeling strong and past 21-mi at Boston College…only then did I “open-it-up” and start running more consistently sub-8 speed. The confidence hit home a little past 21-mi at Boston College when Yankee Runner, Rob Held came out of crowd (he was waiting for friend to come by and run or pace him in), and ran alongside me for a few tenths of mile. I wanted him to run me in, but when he said he had to turn back and wait for his friend, he said…”Frogger…your doing great….just hold this pace!” And when I asked him what “that pace” was….he said ca 7:50! And when it was all finished….cross the line in 3:24:56….a 7:48 average pace…precisely what threshold tests using HR monitor suggested! 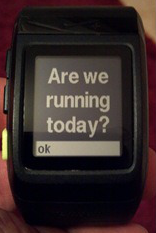 OK…don’t want to be mis-interpreted in fililng up Amanda’s most awesome blog and review of run watches with my personal stories. 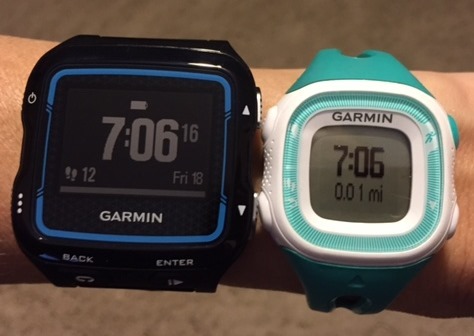 Amanda is not going to do what I do with the watch that “mining” the data…showed me I had the conditioning to run faster than my training goal and schedule of workouts was based on. But Amanda or others…can always find someone or a coach that will take that kind of burden off your mind….just look at the data and tell you what it says. 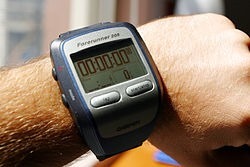 But the point of all this…even if you like Amanda and not gonna use the data the watch is capable of recording…you buy a watch has capacity to measure HR intensity and have a “manual” ability to “lap” splits and you can gather the data necessary to assess just how well your training is going and just what performance condition you are in that represents how fast you can run over designated race distance. So don’t get me wrong here..you don’t need a lot of bells and whistles…but capacity to record HR and manually lap splits….is essential. You can also go to professionals that will put you on a treadmill, likely have you wear a mask that measures oxygen consumption and carbon-dioxide output and very precisely pin down your LT. that’s going to cost you several hundred dollars for a single test session…and in the course of a training cycle…need a baseline….and one or more tests later near end of training cycle to gauge where and how much change or shift has occurred. 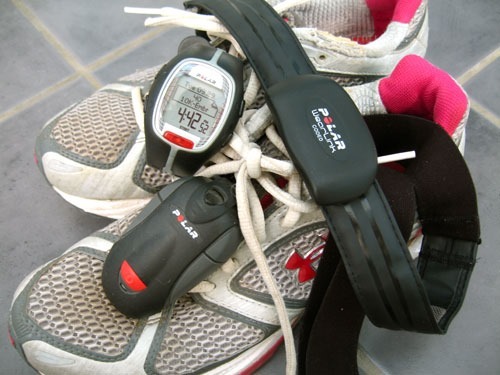 But if you have a GPS watch or even non-GPS watch that has HR monitor capability….you can collect the necessary data to “approximate” that LT that the oxygen consumption test on treadmill will do. 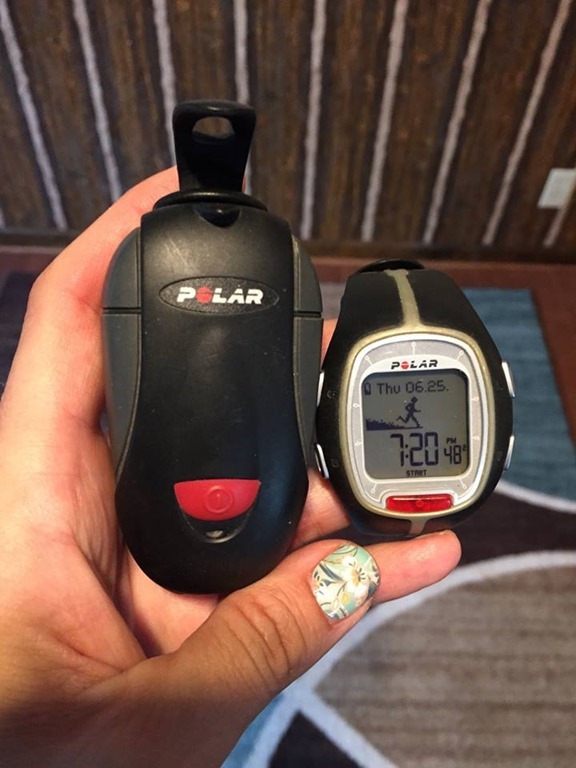 Related to this…you can buy hand-held meters that will calculate LT based on a little blood sample obtained by a “finger prick”….that will also pin down that threshold point….just requires someone to do the “pricking” at various points in a progressively faster treadmill test. I was going to buy that LT tester equipment….but never got around to it….cause I can simply approximate that same threshold point using the HR monitor. 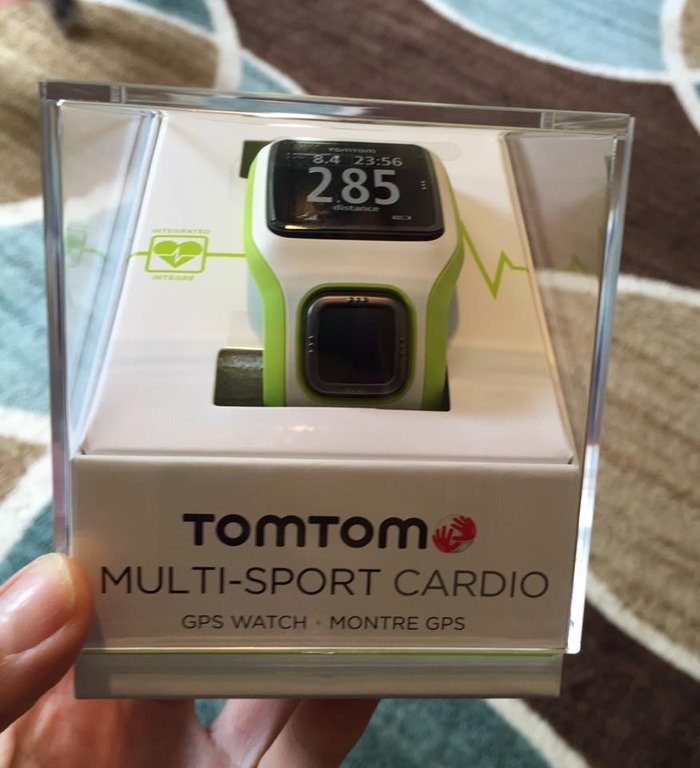 So if none of this is of use or interesting to others monitoring TTF’s blog, you at least know Amanda has one “friend and fan” that knows a lot about that “bells and whistles” run watches can be useful for the competitive or other runner that really wants to build maximum performance. And don’t get me wrong….absolutely awesome to go the other way and just run more basic by feel and at times check the watch and be completely satisfied….that you just cover the distance and finish in whatever time. 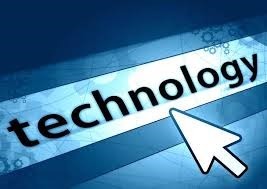 But if Amanda ever wants to assess that kind of “geeky” data watch has capacity to record….rest assured….I will be willing to do it for her…no cost…then it is just a matter if willing to do the “tests” and/or learn the functions of watch to record the necessary data. But all running is relative to distance and intensity….and HR is the best “surrogate” measure of where you are in terms of maximum intensity. Merry X-mas Amanda and Abby and hubby and little-Mikey and doggies! Merry X-mas to all you TTF blog fans!